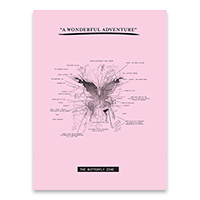 The Butterfly Zine Limited to just 1,500 copies, The Butterfly Zine is a fanzine accompaniment to the Butterfly Package, containing interviews with Mat Whitecross, Kristjana S Williams, Rik Simpson (fanzine exclusive), plus Matthew Miller's photos and an intro from Coldplay manager Dave Holmes. 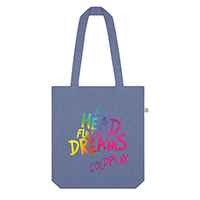 A Head Full Of Dreams Blue Tote Bag Blue 100% Combed Organic Cotton tote bag. Featuring artwork from A Head Full Of Dreams Film poster graphic printed on the front.